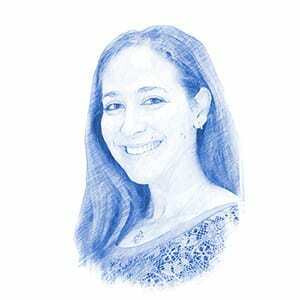 Abra Forman, Author at Breaking Israel News | Latest News. Biblical Perspective. Pence had been scheduled to visit the Western Wall on Sunday, where he was set to light the menorah in celebration of the sixth night of Hanukkah. Abbas has cancelled a December meeting with Vice President Pence over fury at President Trump’s recognition of Jerusalem as the capital of Israel. Trump Missed Deadline to Sign Embassy Waiver. What Does it Mean for Jerusalem? With few signs that preparations for an embassy move are underway, most expect Trump to sign the waiver. But this time, Israel may get a consolation prize. Israel and the Trump administration are racing against the clock to stop publication of a United Nations “blacklist” of companies operating in Judea and Samaria. Archaeologists believe that the finding has revealed the location of the ancient Roman-Byzantine city of Ashdod-Yam. Robert Mueller is investigating Jared Kushner’s contacts with Israeli officials last year over joint efforts to stop the passage of UNSC Resolution 2334. The first snowfall of Israel’s winter season covered Mount Hermon, located in Israel’s north, with several centimeters on Tuesday night and Wednesday morning. The Canadian government will sponsor an initiative to “reintegrate” into society Canadian-born ISIS fighters who want to leave the Islamic terror group and return to Canada.